Tries from Conor Murray, Jacob Stockdale and Keith Earls ensured Ireland returned to winning ways with a 22-13 success over Scotland in their Six Nations clash at Murrayfield. The defending champions had suffered a comprehensive defeat to England in Round 1 of the Championship last week in Dublin, but earned victory in the Scottish capital with the pressure on. Sam Johnson scored a try for Scotland in defeat, while Greig Laidlaw kicked two penalties, but the home side did not have enough to break past a resolute Ireland defence. 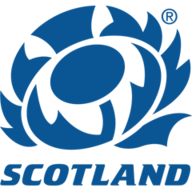 Scotland: 15 Hogg (5), 14 Seymour (5), 13 Jones (6), 12 Johnson (7), 11 Maitland (6), 10 Russell (6), 9 Laidlaw (7); 1 Dell (6), 2 McInally (7), 3 Berghan (6), 4 Gilchrist (6), 5 Gray (6), 6 Wilson (6), 7 Ritchie (7), 8 Strauss (6). Subs: 16 Brown (5), 17 Bhatti (5), 18 Rae (5), 19 Toolis (5), 20 Harley (5), 21 Price (5), 22 Horne (5), 23 Kinghorn (7). 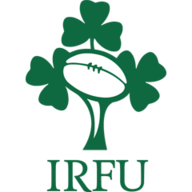 Ireland: 15 Kearney (7), 14 Earls (7), 13 Farrell (7), 12 Aki (6), 11 Stockdale (7), 10 Sexton (6), 9 Murray (7); 1 Healy (8), 2 Best (7), 3 Furlong (8), 4 Ryan (7), 5 Roux (7), 6 O'Mahony (8), 7 O'Brien (7), 8 Conan (7). Subs: 16 Cronin (6), 17 Kilcoyne (7), 18 Porter (6), 19 Dillane (7), 20 Van der Flier (6), 21 Cooney (n/a), 22 Carbery (8), 23 Larmour (6). Man of the match: Peter O'Mahony. After a very bright start to the fixture from Scotland, they hit the front after just six minutes when Ireland centre Bundee Aki was penalised for hands in the ruck under his own posts, handing skipper Laidlaw a simple effort to clip over for 3-0. Ireland hit back against the run of play on 10 minutes when after their first period of sustained possession in the match, Stockdale chipped ahead before Tommy Seymour made a major error under pressure from the chasing Chris Farrell, throwing a wild pass inside which Sean Maitland could not deal with as the ball slipped through his hands. When the loose ball bounced up, scrum-half Murray had the simple task of sauntering over after working hard on the inside, though Sexton missed the simple conversion, hooking wide. Seven minutes later, Ireland were over for their second score after a brilliant move in midfield which saw Peter O'Mahony play a switch ball to Sexton, who then fed a pass inside for Stockdale around halfway. The Ulster wing timed his run perfectly to sear through the gap and race in from 50 metres out, demonstrating his tremendous pace. Gregor Townsend's men did get their first try of the game just shy of the half hour mark when Joey Carbery - on for the injured Sexton - threw a pass which was intercepted by Russell, and though the out-half was successfully chased down by Earls, the Racing 92 man popped up a super pass from the ground into the path of the chasing Johnson. When Laidlaw converted, the margin was just two points and Ireland were then forced to defend 25 phases of Scotland attack within their own 22 in the final minutes of the half, just holding out after some staunch defence - Seymour had gone closest with Stockdale having brought him down five metres out. As it was, Ireland would score the next points of the Test when Carbery broke through and past Allan Dell and Rob Harley on 56 minutes before racing forward and floating a gorgeous long left-hand pass out to Earls, who had a simple finish. Scotland narrowed the gap down to six points inside the final quarter when Laidlaw kicked a super effort five metres from touch after Aki was penalised for playing the ball off his feet at the breakdown. Carbery soon restored the Ireland advantage to nine points with 12 minutes left when he dispatched a penalty after Scotland No 8 Strauss failed to roll away, and that proved the end of the scoring. The key moment in this game arguably came right at the end of the first half, with Scotland just two points behind and camped in the Ireland 22. Townsend's men created several openings on the edge, coming within inches of the try line, but failed to break through Ireland for 25 phases and nearly five minutes of play. Ireland's defence was superb and that moment at the end of the first period was a major momentum switch. You could see players in green visibly lifted and Scottish players immensely frustrated. Stuart Hogg, who by then was off injured, lashed out and kicked a hole in the advertising boards on the sidelines. It was a microcosm of the entire match. Ireland's defence - restricting Scotland to just an intercept try throughout the full 80 minutes - was particularly impressive. Their control of the Test throughout the second half was noteworthy too. Scrappy to a certain extent, unspectacular undoubtedly, but exactly what was required. For Scotland, Blair Kinghorn came on early after Hogg's shoulder injury and was mightily exciting again - Townsend has to find a way of starting him every week. Kudos to Carbery too, who came on in the first half with Sexton injured, threw an intercept pass which cost his side a try, but responded magnificently. His piece of play to slice through the Scotland defensive line and find Earls with a fabulous left hand pass was sensational. He kicked flawlessly off the tee too. And lastly on the positive side, Russell's pop pass for Johnson's score was a wonderful piece of composed skill. While entertaining, particularly in the first half, Saturday's Test was one jam-packed full of errors. Substantial individual mistakes led to two of the tries, while both sides will look back and be irritated with their accuracy - knock-ons and spilled balls seemed to rule the day. And nobody likes to see injuries in any Test, so to see two of the most talented players starting the match in Hogg and Sexton depart early in the first half via shoulder and head complaints respectively was a grave loss to the game.